Harvested from mackerel, tuna, salmon, sturgeon, mullet, bluefish, anchovy, sardines, herring, trout and menhaden, fish oil is used for a variety of health conditions. According to the National Institutes of Health, the most common reason for fish oil supplementation is cardiovascular protection, such as lowering blood pressure or triglyceride levels. Because fish may build up mercury throughout their life span, however, taking fish oil with low mercury levels is desirable. According to the Dietary Supplement Label Database, a service of the U.S. National Library of Medicine, several fish oil products have been rigorously tested to ensure low levels of mercury contamination. 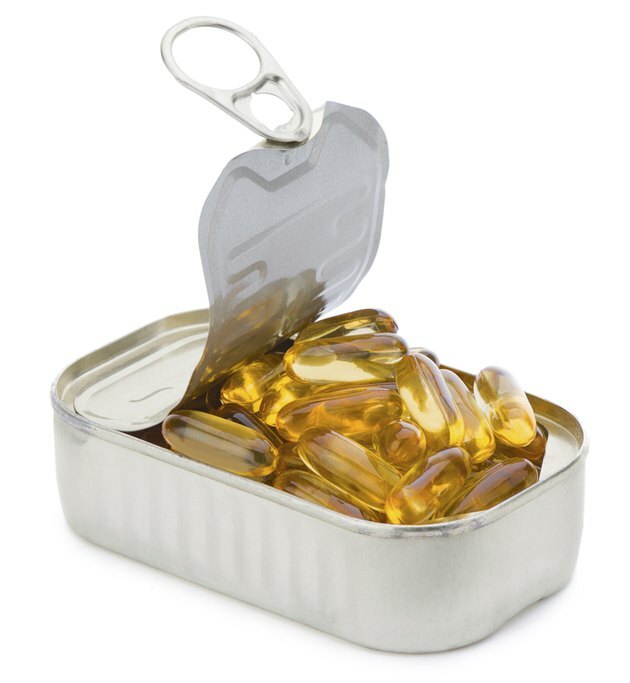 Nordic Naturals, a California-based company, uses 100 percent Arctic cod for its cod liver oil products and other fish, such as sardines and anchovies, for other fish oil products. The company adheres to the strict European Pharmacopoeia Standard for purity and freshness and follows guidelines set forth by the U.S. Food and Drug Administration. Nordic Naturals' fish oil products are molecularly distilled, using an enzymatic process that removes potential environmental toxins, such as mercury. Independent laboratory testing is conducted to confirm removal of mercury from its merchandise. Olympian Labs Inc. is a certified cGMP -- current Good Manufacturing Practices -- facility, obtaining its fish oils from anchovies, mackerel and sardines found in cold, deep water. This manufacturer uses a molecularly distilled process for obtaining purity and removal of contaminants, including mercury. It uses third-party testing and exceeds all national and international standards for purity and contaminants. An Arizona-based company, 21st Century HealthCare Inc. is a certified cGMP manufacturing facility, using molecular distillation for contamination- and mercury-free fish oil products. The Alaskan wild fish oil softgel is composed of anchovy, herring, mackerel, cod, salmon, sardine and sprat sources. The company adheres to testing its products by an FDA-registered laboratory to comply with AOAC international standards. AOAC, or Association of Analytical Communities, is an independent, third-party, not-for-profit association with a mission of developing international standards. Carlson Nutritional Supplements, based in Illinois, is an FDA-regulated facility that uses an independent FDA-registered laboratory for testing of its products to ensure no present contaminants, including mercury, using AOAC international protocols. Its fish oil uses anchovy, sardine and mackerel from deep, cold water, providing a quality source of omega-3 eicosapentaenoic acid and docosahexaenoic acid.